When I was a young girl it was common for suburban backyards to have a vegetable garden and fruit trees; my grandma grew peaches in her backyard and my parents grew plums. They all lived in Sydney. Occasionally there would be a flock of chickens kept for eggs and meat, and maybe a meat rabbits or pigeons. I was born in the late 1940s so the second world war was still a fresh memory and the majority of people had lived through the Great Depression. People were much more self-reliant then; they had to be. There were still shortages in food after the war, and for many people, providing for themselves was just a continuation of what they'd always done. These were the days before supermarkets, people shopped for food either every day or every second day and very little food was wasted. Now, if something happened in the food chain that supplies supermarkets, most people wouldn't know how to feed themselves. Sudden unemployment also has the potential to impact on food security. We should all be learning as much as we can about our food, where it comes from, and if that source of food stopped, how we could replace it. Climate change, peak oil, water shortages and population increases have all played a part in increasing the price of food. Unemployment, natural disasters, wars and terrorist attacks also impact on food security. No one knows what the future holds but I can't see any imminent improvements in the weather, oil prices, water supplies or population figures. I think things will get worse before they get better; but food security is something we should all be dealing with now. I have no doubt that eventually we'll learn how to live in a more sustainable way. We have no choice. The trick will be to live well during the transition and not, when food becomes much more expensive, get dragged into the changes, resenting every step along the way. Most countries have a food security policy and while I think that's a good thing, I like the idea of being responsible for ourselves, being prepared for anything and, if possible, helping others in our communities. As you know, we changed how we live over a decade ago and have not had one moment's regret. I can't say all of it was easy, but as a whole, the change was fairly trouble-free and straight-forward and I wish we'd done it much earlier. Our decision to simplify life also gave us the chance to learn about our food and water supply and to reduce the risk of food insecurity by learning about small scale food production, cooking, food hygiene, food storage, heirloom seeds, pure breed chickens, aquaponics, bees, water harvesting and many other concepts that make up the huge topic of food security. Our path took us back to backyard vegetable gardening, chickens and stockpiling - all things we'd done on a small scale in the past and then stopped for some reason. But this isn't the only way to go. Community gardens, allotments, farmers markets, bartering, eating seasonly and locally can all play a big part in a transition towards food security. We still rely on our community to supply things like milk, honey, fruit and vegetables, depending on the season, and we shop at supermarkets for things such as tea, coffee, oil, sugar, salt. Our system is heavily reliant on the work we do for ourselves to produce food but as we age, I can see us becoming more reliant on our community when less comes from our own efforts in our backyard. I hope we can be a bigger part of the community system then and teach others what we know. I guess the best way to move towards a more sustainable future and food security, is to assess what we can do right now and what we'll be capable of in five or ten years. You may need to learn how to grow some food at home while you're still doing all your shopping in the community. What you learn now can help sustain you and your family in the future. And its not all about growing and buying local food, it's also about cooking from scratch, harvesting water, saving seeds, keeping pure breed chickens and doing it all as cheaply as we can. And if you can do nothing, being okay with that and relying on your family and government to support you. Hopefully your situation will change in the future and you'll be able to do more. 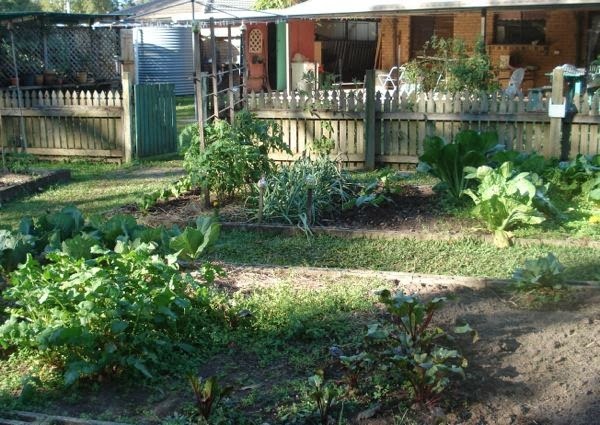 Over the next week or two, I'd like to start off with the two systems of food security I know well - the backyard model and the community model. I'd also like you to discuss what your experience is and hopefully we can all help and learn along the way. I believe this collaborative approach will be the way of the future. I hope we can start right here to reduce vulnerability in our own homes and to work towards sustainability and building resilient and strong communities. Growing, raising and preserving as much as you can from your own labour is very, very important as is stocking up on those things that you cannot grow or raise. It is very important to designate a part of your budget just for stocking up so that you can buy lots of the items you need when they are on sale. We just bought 10 large boxes of salt - on sale for $1 off. Salt never goes on sale. Neither does dry yeast. That is one reason I make a lot of sourdough. And vinegar and sugar go on sale in winter only so we buy a lot at a time. But we set aside money to do this so we are prepared. Being a prepper is not a bad thing contrary to what some of the ridiculous shows on TV would have you believe. It is also very important to "encourage" your government - local and federal - to protect food security. And this includes mass transportation of goods. In Canada a lot of the local railways and rail lines have been closed and ripped up over the past 20 years making transportation of goods dependent on trucking. We used to have a rail line but it was closed 10 years ago. Last year when all the highways were washed away we were without any supplies for well over a week. It is amazing how quickly the stores sell out. Ours were empty in a day and a half. Basics were flown in by huge transport planes but we should not have run out so quickly. And the smaller communities were in real trouble. And the gas was also down to the last drops and they were planning to fly in huge bladders of gas. Very dangerous. Up until 20 years ago we had huge warehouses - one controlled by the government and the other by grocery retailers so we had enough food in our isolated area to last for 3 months. That was closed down and now they are scrambling to try and establish a new system. The old one worked just fine. Great post Rhonda. We are trying to secure our own food system by growing more fruit and vegetables every year and by buying meat and milk locally. We also buy our bulk dry goods in a food co-op. There really isn't much left to buy at the supermarket. Looking forward to your thoughts Rhonda. We already do both - grow our veggies and support community based food supplies and farmers but am always looking for ways to tweak and improve. This is a topic near to my heart and I agree with every word! Also, if people take more control of their own food, we would be reducing our personal emissions as a side result because it is much better for the environment to eat local, garden, improve soil etc. Have you heard of Australian Food Soveriegnty Alliance? http://www.australianfoodsovereigntyalliance.org/peoples-food-plan/ They are an amazing and well managed group that are trying to address the exact issues you spoke about. They submitted a food plan to the government which takes food security into account. Having said all that, I find it very satisfying to try and be responsible for our own family's food. Hi Linda, I had not heard of the Aust. Food Sovereign Alliance. I'll read through the site later today. Thanks for sharing the link. These are the types of organisations we should all know about. I was 14 when the civil war broke out in my home country - the only reason we did not go hungry (well, us kids never did, would not be so sure about our parents !) is because a) people knew how to be self-reliant and b) a lot of people were happy to pull together and help each other out. The war had shown me, at rather an impressionable age, the absolute horrifying worst of humanity..... But also the absolute breathtaking best. I do hope that no one reading this will ever have to use the skills you write about in such a situation - but there are many other less dramatic occasions when each and every one of us might have cause to give thanks for having these skills. Thank you for never tiring from writing about them. MOrning Kathryn. My paternal grandparents lived in Wynnum too, Tingal Road, having moved their from the Lockyer Valley early in the 1900s. The last time I was there was for my uncle Jack's funeral a few years ago. The house was sold then but I don't know what's happened since. It's a sad thing to see all our history being swept away. I hope you recreate some form of that life for yourself. A wonderful topic and so needed, peoples reliance on supermarkets is so scary. I have worked in a large supermarket chain that is in Aussie too, and it is store policy to keep stocks out back to zero! We would be made uncomfortable if there was a lot of goods out back.by the bosses.There was a delivery every other day, so in an emergency stocks would be gone overnight. Our govt tries to encourage people to have stocks for three days which is ridiculous, as the Christchurch earthquake proved, shops were closed for weeks and in some cases for ever. Look gorward to the rest of your series. .
Good morning, Rhonda. Good to see you back. 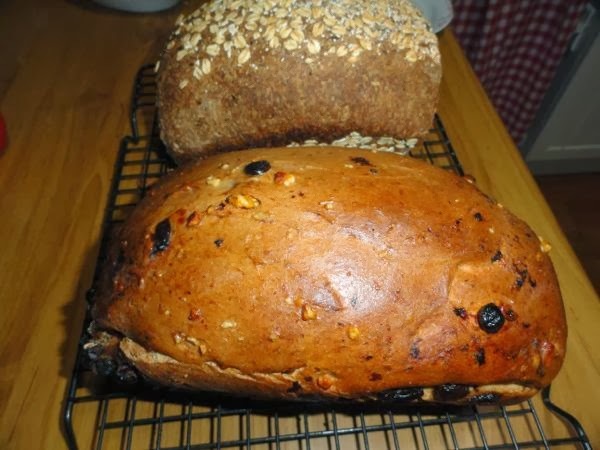 This is a very timely post for me as I have just been reading Isabell Shipard's book 'How can I be prepared with Self-Sufficiency and Survival Foods'. I borrowed it from the library but, as with all her books, they are always on reserve so I couldn't borrow it for too long so will buy my own copy. It would be a good investment I feel. We had a taste of what happens when there is a natural disaster as the floods of a couple of years ago resulted in trucks being lined up on the Toowoomba Range, unable to get out of town and the trucks bringing food into our city were probably lined up on the flooded highway somewhere. Within one day we were unable to buy bread and milk was in short supply too as some people panicked and were stockpiling and others went without. We knew it would be a temporary situation but it made one realise how reliant we are on trucking food into the major supermarkets. Many of our vegetables were ruined by the constant rain as well which was disappointing. I am also looking forward to the rest of your series. Rhonda my childhood memories are slightly different from yours. I grew up at Chifley, a brand new suburb established after the war in south-east Sydney. The soil was literally sand so it was difficult to grow anything and people didn't establish vegie gardens even though they had grown up with them. But their parents, my grandparents certainly did grow vegies and Mum had the "fruit and vegie" man who brought his wares in his little open truck, the milkman and the baker delivered daily and most things were cooked from scratch. The milkman even delivered a mixture of milk and cream which we whipped up, then froze -- dekicious ice cream. Rose, I too have those wonderful memories of delivery men, it was always a man. We even had a man with horse and cart deliver ginger beer in stone bottles. Erm, maybe that dates me too much. lol. I bet you can still remember those days when the deliveries were made. I wonder what will disappear from today that will be remembered fondly in years to come. Oh, the mites are driving me batty at the moment. They're everywhere! I've been looking at various options and realised that my ladybugs are slowly taking matters into their own hands. Even though I live in Brisbane, I spend my summers in Bundaberg and was unlucky enough to be there during the floods in 2011 and this year (living in a tent, no less!). Both times we were cut off because the Bruce Highway flooded at Gympie, and I was amazed at how empty the supermarkets were after only a couple of days cut off. Part of it was people panic-buying, caused in part by the radio stations broadcasting which shops were open and what they had but telling people not to panic-buy. We were in the unusual situation of not being able to stock up on food (having 25 people and a kitchen only slightly larger than a normal home kitchen), however we did fine by making pancakes when we ran out of bread and just eating up what we did have in the freezer and pantry. I'm looking forward to reading your posts, especially the community ones, because I am renting and only have a container garden at the moment. Our income dropped to a 1/4 of what we had been making some 8 years ago. My husband also became disabled. We downsized from 2700 sq. ft. to 745 sq. ft. Our house payment has gone from a little over $2,000 a month to less than $500. We grew seeds last winter and kept a garden from early spring until now and it's still going. I've had to buy hardly any veggies or fruit from the store. We've already planted veggies for a fall harvest. I love my new life! I too will be looking forward to this series, it is very timely, I think a lot of people are beginning to feel nervous about the future and they may not even know why, but many of us feel that things are not going to get 'better' any time soon and may even get worse. I am so grateful to my grandmothers for sharing their skills with me for years growing up, I know how to do things thanks to them and now I need to implement more of what I know than I have in recent years! I keep several different types of stockpiles. First I have my real emergency supply of foods in case we have no power, have to leave home and take food - this is tinned and packet food. I do not regularly use tinned food, only enough to cycle through this no cooking needed emergency food to keep it within use by date. Then we have a freezer full with a back up generator in case the power goes down. As I cannot fill up on bread (any grains) or legumes for halth reasons I need to eat meat. So we need a back up in case the power goes down for a number of days to avoid losing the meat in the freezer. I am growing as many vegetables as my skill and tiny block size allows. What does bother me though is water. While I have about 500 litres of water in storage this wouldn't be enough if our water supply was cut off. I notice that the government link you put up recommends each household have a 2 week supply of food and water. My 500 litres is enough for drinking for the family members, but not enough for hygiene. I rang our local government office and was told it was a state government issue. I rang the state government and they didn't want to know and referred me to the water corporation. The Water Corporations person on the phone couldn't tell me anything but suggested I put my request for information in an email and they will get back to me in a fortnight. I would hate to think about local anger if we really did have a water supply problem and tried to get information. Two years prior to Hurricane Sandy we had dealt with a freak snowstorm in October and Hurricane Irene and Lee and after that I told my husband I would not do without power ever again. We soon had a home backup generator. Sandy came and while we live in the Northwestern part of New Jersey,we got hit like everyone else. Power was out for a week where we are and there was gas rationing. To say people got edgy is an understatement. What surprised me was how may people called radio stations complaining they had no internet or that their kids were bored. Hello, you have your house and your lives. Go out side and help clean or read or offer to feed a neighbor if you have power. The selfishness that arose and the panic was a little frightening to me. Most people on our block had some type of back up power and those who didn't were welcome to charge their phones or computers or to even come shower. Our grids are overloaded and cannot handle all the juice needed to run everything. America needs to rebuild its infrastructure, but good luck with that happening anytime soon. I have some water stored and some food, but need to get much more including some more back up food. When I know a storm is coming I bake ahead of time and have even cooked a meal or two to have at the read at room temp. Even though we have the generator, we try not to use up all the gas. We were almost out and the truck made it out to us then the power came back later that day. WHEW! People hoard bread and milk during a crisis like that not thinking you need other things like beans, lentils, toilet paper, soap (castile is a good idea as you can wash yourself and do laundry and brush your teeth with it), medications, etc. A lot of my friends here have still not taken matters into their own hands and purchased a generator of any kind or wind up radios or lanterns. How many times do you need to lose power and have roads closed to decide to take measures into your own hands? Rhonda, I like posts like this that challenge you to carefully think out how you are doing things in your life and what changes you can make. I find that I am gradually but constantly making changes in my lifestyle, first from financial pressures, then from health choices, then because I have increased my skills to new levels, and finally from pleasure in the work itself and satisfaction in the outcome. When a new thought or need or desire comes along, I go back around the circle again. I always think things out and gather information as the first step, and sometimes discard or modify things I've thought about doing, for now at least. I've learned not to start with a romantic, idealized notion of how I'd like to live and proceed from there, because you have to prepare yourself from the outset to work at it and be practical and be open to change, otherwise you will put it aside and go back to your old ways which you were dissatisfied with. I think I would add commercial greed to your list of threats to food security. The store I shop at often has promotions where you have to buy a certain number of items from of a wide list of products which are identified by the parent company, and it is scary to see that about three companies seem to own just about all the brand names in the store and one of them is a foreign company. Of course, you seem to shop almost exclusively at a foreign company, Aldi, so maybe that does not concern you, but I have been affected in the last several years by foreign companies suddenly pulling up stakes in my country because of financial and regulatory problems in their own and I was not even aware until then who actually owned them. Also, many people have been poisoned and sickened by products from China and Mexico where there is apparently little regulation of the food industry and much corruption. I know people who work for businesses that have relocated to countries in the far east for the cheap labor but their products come back here under the same old familiar name, and this is scary as well, because you assume the quality is the same. This problem of harming consumers happens sometimes here as well, but here our government has some control, and these companies have been quickly put out of business or been fined and more closely watched and we are easily informed about it and can avoid their brands or products in the future (for example, I have given up peanut butter and never eat meat, too risky). As for community, I think that it is one of those nice concepts that we are fed on from childhood up and love to believe in, but in which only a small proportion of the population is engaged. Yes, many people will feel bad about a natural disaster for a short time and run to give money to the Red Cross after seeing a teary eyed commercial and the media hype meant to improve their advertising profits, but few would offer to help their neighbor in distress. Often in times of stress and insecurity, people do not pull together as a community but separate themselves out into "them and us" and target their neighbors for abuse or worse. People have become more disconnected and self-centered in recent decades with no resources of their own to give, and look to larger entities like governments and charities to do the work of helping others or come to their own rescue. If we think that we do not have to be self-sufficient because the people in our community will as individuals come to our aid, we are liable to be sadly discouraged, and we will have nothing of our own to use to help others. The city of Vancouver has a share policy. 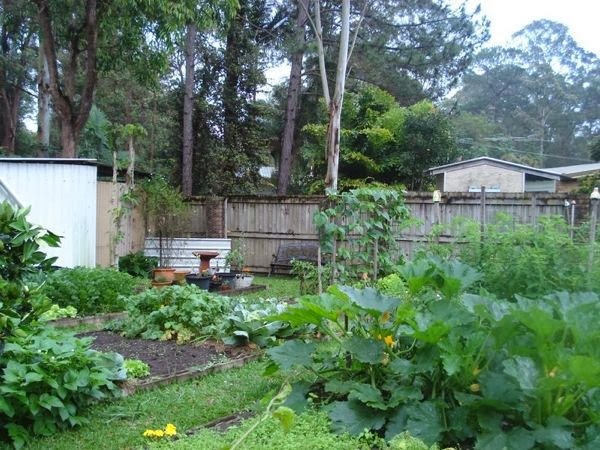 If you have land (as in a back yard) but are not able to garden then you can put your name on a list for a person to share your garden with There are a lot of people who live in the city who would love to garden but there are not enough allotments. And there are a lot of people who always gardened but for one reason or another can no longer do so thus their yards are lying fallow. This has been going on for many years now and is very successful with nearly double the amount of home grown produce in the urban area. My small northern city is gearing up to do this. Cuba is one of the countries that has already faced a complete break down of their food and energy security. And they can teach all of us a lot. It is also interesting to note that when people are desperate they will pay no attention to the environment or the future needs of others. Armenia suffered when the Soviet Union collapsed as well and they turned to their national forests for wood to cook and heat with. In five years there was only 10% of their forest left. An environmental disaster. I hope the world is taking notice and planning but I think that it will be up to individuals to find ways of providing food and energy for themselves and others. Because we will not be living in a vacuum so will have to help others. Hello Rhonda, I glean something from every post you, and your subscribers, write. I do have a garden and fruit trees, but this year the fruit trees didn't do well, and last year they didn't produce at all. I sometimes shop at Aldi and have always thought their products were good, However, I purchased some mixed fruit recently and when I went to use it, and looked at the label, I discovered it said, "Product of China." I was horrified! I wrote them an email saying that peaches, pears and cherries grow in the USA and why would they ever import food from China. They replied almost immediately, and in essence, said that some people have different criteria for the food they eat. I sure do!!!! I want it as local as I can get. More shopping at the Farmers Markets which go on here all winter and less reliance on grocery stores for me! This is an interesting topic and one of increasing importance. I think it was brought home to me during the 2011 Brisbane floods, we were astounded by the panic buying! My poor mum innocently went to the supermarket in Paddington to buy my Dad a packet of prunes and was shocked to find they were only letting 1 person into the shop every time 1 person came out, apparently the shop was full to capacity. 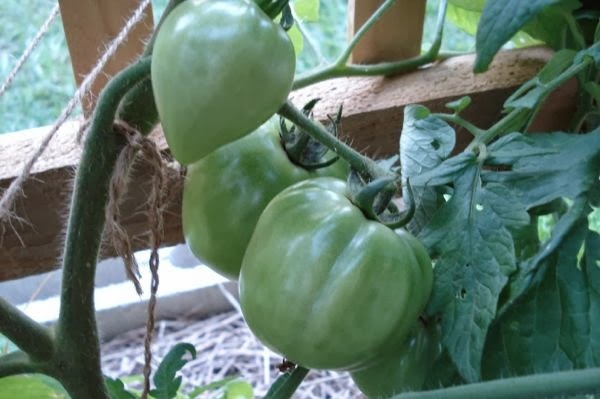 I think it's really important for people to share the food we grow plus seeds and seedlings and also to encourage the next generation to get involved in both gardening and food preparation. We have been growing food and keeping chickens in our backyard for the past 10 years but are currently struggling to get our garden going since we moved a couple of years ago, we have very sandy poor soil and although we keep chickens, make compost and have a worm farm so we produce a fair amount of our own fertilizer it's taking forever to improve. I guess it just takes time but it's a shock after our previous garden where you couldn't turn a spade of soil without finding half a dozen worms and everything just grew the minute you stuck it in the ground. Everything seems to shrivel up and die on me at the moment. Hi Saskia, what a shame about your garden this year. It sounds like the soil needs a lot of help. We're not planting anything else this year and will just continue harvesting what's there. The weather has already heated up a lot and I think it's going to be a harsh summer. Instead of struggling with the soil, why don't you grow some green manure crops. You can get the seeds and a lot of very good information from Green Harvest - http://greenharvest.com.au/SeedOrganic/CoverCrops/GreenManureWarmSeason.html I think if you give your soil that time over summer, you might be in a better position next March when you can start planting again. You might have time to plant the cover crops twice in that period. 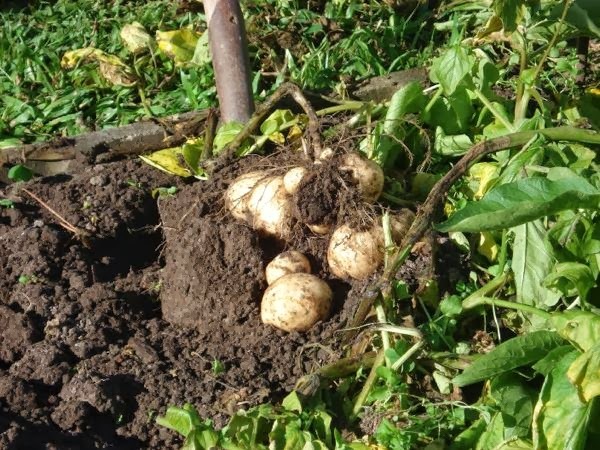 When it comes time to dig the green manure crops in, cover the garden beds with a good layer of straw or hay, water it once a week if it doesn't rain, and that will be enough to keep the worms happy and the soil reasonably fertile until it's time to plant. Good luck and let me know how you go. Many of the urban communities where I live are are struggling with what to do about people who want to raise chickens on their property. Groups are forming to challenge local governments who have restricted this practice and some are changing the law. It is frustrating, as the arguments stated for why backyard chickens are a bad idea are often based in misinformation or just ignorance. Many communities are worried about property values in their McMansion neighborhoods. These are important issues and goes to the heart of giving people the tools to be self reliant and participate in their own food security. I think it is very important that we get involved with our communities and local governments, even if it is just to raise counterarguments and to educate those in power about these issues. I feel deeply passionate about this topic, Rhonda. Over the last 10 years, I've thought long and hard about food security and what that means on a personal scale, a community scale and in the broader national sense. Part of the solution is to think locally and seasonally ~ supporting local producers is vital! If we don't, we'll lose them and then be in REAL trouble. I had an interesting experience this summer. I have sacrificed yield in my garden this year as I'm focussing on remediating my soil by growing cover crops in some areas. This meant that I needed to buy more produce than I normally would through the summer/early fall. Rather than go to the grocery store for the shortfall, I chose to go to the farmer's market and find a local producer who grew organic food using sustainable methods. I have been happily buying his produce for quite a number of weeks and am picking up my bulk winter storage order this coming Saturday (carrots, onions, beets, potatoes). I grew those things, but not enough to sustain us all winter. Had I not ordered in bulk from him, I'd be faced with buying imported grocery store options all winter. THIS is planning ahead, local food style. What an eye opening experience for me, even as a local food supporter ~ I truly realized how fragile MY food system is. Our weather is really volatile and can seriously affect outcomes. Also, I was very ill with pneumonia in May and that slowed me down for several months. Having our household reliant on mostly one person (me) for fruit and veg is not sustainable! I WILL get sick and I WILL age and slow down accordingly. I LOVED handing money over to that farmer. He is a kind man who is deeply passionate about growing organic food and he is PROUD of his produce. He has every right to be - it tastes fantastic! By supporting him directly (as in me giving money to the farmer with the dirt smudge on his face from an early morning harvest), I am voting for how I want my food grown, harvested and delivered to me. His food has WAY less food miles on it which is VITAL for any truly sustainable food system ~ it's all grown about 30 minutes from my house. There are so many solutions to this problem... no one size fits all. Farmer's markets, buying at the farm gate, growing food (on your land, in a community garden, or in pots), local produce/meat buying co-ops, buying local food IN stores, bartering with community members who grow food... I live near Edmonton, and the Operation Fruit Rescue organization is a gold mine of free local food! Volunteers pick unwanted fruit and veg (some from farms but mostly from homes) and the pick is split between charity, the homeowner and the pickers. The solutions are mind-blowingly simple. STOP buying imported food and SLOW down long enough to find local food. It's there - go buy it! Cover crops aren't used nearly as often as they should be here. It's a simple solution and it works. You provide a wonderful example of food production and management for all of us, Sherri. Wonderful, thoughtful post. It seems that at least in part, many people are starting to get the excellent points you made. In Maine, where I live, farmers markets are booming, and we have an increasing number of young farmers in the state. While we have plenty of room for improvement, there is lots of growing, cooking, and healthy eating going on in Maine.There is even a resurgence in growing grain and a brand new grist mill to grind it. Our government/s want to appear as though they are doing something about food security but won't until they question the inalienable free trade system. It's common practice for government/s to 'bale out' farmers in times of need, like recently with the droughts and the temporary ban on the live export of cattle, where assistance packages were provided to farmers. I consider this a waste of tax payer money. These packages - often provided by way of low or no interest loans - don't do anything to curb the competition that exists due to the open trade borders. When farmers sell the farm or processing plants stop the production line, it is usually because somebody else has managed to sell the same product cheaper - usually it is imported. We can't continue to dish out money to bale out uncompetitive farmers. We need to stop the unfair competition and put in place policy that restricts the flow of imported goods. This isn't about laissez-faire capitalism - it's about ensuring food security for this countries inhabitants. In the meantime, as negative economic events occur more frequently, I am going to take matters into my own hands. This is why I am setting up my 'Desirable World'. It is absolutely to do with simplicity. Life isn't simple when the products you buy are from all over the world, containing ingredients you have never heard of, that have been produced under questionable conditions, and sent here on a cloud of carbon dioxide. Simple food production to me is soil > seed > nutrients > water > yield > calories > nutrients > soil... and so on. It's being able to pick a cabbage that has grown as a result of my own labor, in soil that I have built or nurtured. Then, the surplus can be traded for money or something else, with others that want simplicity in their life. I did read about the negative comments on Ivy Nest about their cow and I find it disturbing that people have time to get onto blogs and post such criticism. Goodness me, why you would want to go on line and waste your time making someone else feel bad says a lot about the type of person they are. I also agree that they never once put a name or link on it so they can hide behind their computer screen and bully people. I'm all for people having opinions of their own like perhaps what simplicity means to me vs someone on acreage however that is what works for my family and sharing verses putting someone down for being themselves. I totally do not understand why people read a blog and post nasty comments and don't like a blog...here's an idea................. don't read the blog!!!! SIMPLE. It is totally unnecessary and I agree that you and your readers need not waste your/our time on people like this. Don't give them the time of day. People who are reading your blog (who are genuine) care about others, care about values in their life and who are trying to get advice from yourself and other readers how to go about doing things differently in order to have greater satisfaction and a better quality to their life whether they live in an inner city apartment, suburban block of land or out in the country. These type of people by nature are caring and community minded. Life can be difficult enough without people purposely trying to pull you down. I find reading your blog I want to do better and even if I don't actually implement certain things I know there is always later when it's a better time to introduce things into our lives. I'm the same generation as you Rhonda (same year I think) and have the same memories of how things were. With larger populations now there are more flats and hi density living, simply because there is no room in any country (even Australia) for every family to have a house and back yard, even if they could all afford it. So for those reasons alone, so many people can't grow their own food or have chickens. I've got quite depressed reading your post and all the comments about what a horrible world the planet is becoming. Hey, that's not a criticism of you or your readers! Just my own feelings. I find the most frightening aspect of the world today is the drug and alcohol culture. I started to type a whole lot more but realised in time that there could be people reading this who live with those things, and do not need any more lectures. I just wish those mind altering substances had never been invented. Bit late now. The day after the long week-end I needed to go to the post office. I could hardly find a park! There were so many people in the supermarket, the shelves were still low on stock and I could see and hear from people's comments how 'put out' they were. What is it about people who need to rush to the shops after they've been closed for one day! I hate to think of the panic that would set in if the shops were closed for a few days. It's scary. I was born in the late fifties to migrant parents and we lived in the boonies west of Sydney. Dear Dad worked a number of jobs including growing tomatoes and sold boxes to the Flemington Markets. Gosh it was often hot and physically challenging work. Of course I had to help. We had a few cows which meant fresh milk and my aunt would make a Balkan style of cheese we constantly used in everything. A huge veggie patch including capsicums and peppers, beans, lettuce, spinach; I'm feeling rather nostalgic thinking about it all. Our bread was delivered every second or third day by an Italian baker driving his ute. I recall it being such a treat and the smell....was sooo divine. We had tank water only and I have always grown up with an acute sense of how precious is our water. Things were tight, treats were rare and I remember having to walk everywhere - our bus stop was one km away and it took 40mins to get to town. I recall catching the bus to go to town on school holidays to help bring home the groceries. We'd get off the bus with one small bag of meat and brown paper bags (not plastic) filled with supplies of flour, coffee, sugar and other basics and then walk or run the one km home in hot sun, wind or rain. It still stays with me. If the shops were to close down for two weeks, I'd be right. After that, I'd need an action plan - but I would be right. It's in my Hubby's DNA (the ultimate survivor) and somewhat less in mine - but we'd survive. Hubby recently bought a flour mill and we only last week milled our very own wheat. Hmmm. I have much to learn; the whole wheat bread I made wasn't very stretchy and it was quite tough. But hey; if crunch came to crunch; I'd have bread in my tummy without needing to depend on anyone! I wonder how many other people could say the same. My dear departed father always used to say; 'as long as people have food Martsi (my nickname) we can avoid a world war'. Scary. Ooops I've written a book.